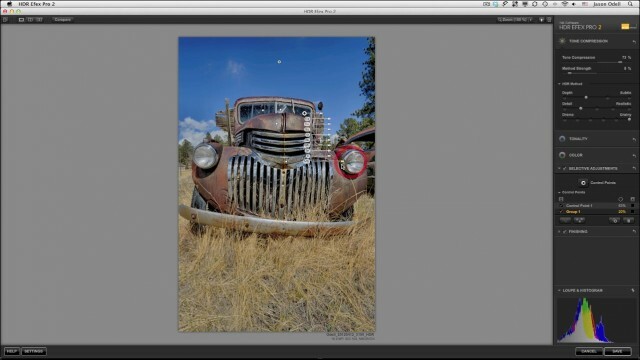 In this video, you get over two hours (159 minutes, actually) of in-depth training on creating fine-art HDR images with Nik Software’s HDR Efex Pro 2.0. I’ve gone through the entire HDR workflow, starting with image capture and RAW conversion and moving through all the steps you use in HDR Efex Pro 2 to create amazing HDR tone-maps. The annotated videos make it easy to follow the mouse pointer on the screen. What’s great about this video set is that you can watch as I work on numerous images to cover a wide range of HDR styles, including natural, hyper-real, and artistic/surreal. You’ll be able to follow the on-screen action easily through annotations and highlighted mouse pointer clicks. The video is presented in clear 1280×720 HD as a QuickTime (.mov) movie. It includes chapter markers for easy navigation. Download your copy of this comprehensive training video today at Luminescence of Nature Press. How to tone-map single images, including tone-mapping a single RAW file. Previous PostUsing Tiffen Dfx3 to Create Custom Studio Lighting EffectsNext PostCyber Monday Sale!